Hello everybody! I hope you guys are well. Today I would like to share a project with you that has endless possibilities. 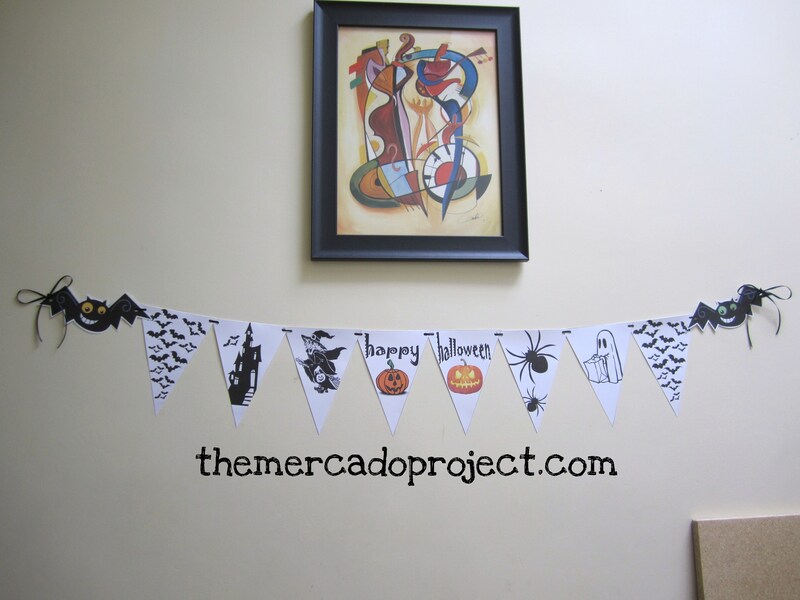 I love using banners to decorate, especially for birthdays and holidays. You can always buy pre-made ones, but I like making my own so I can personalize them specifically. Using the shapes application on Microsoft Word, I start with a triangle shape, and make it as big as I want. Then, regarding the theme, I look for clip art online and I copy and paste onto the middle of the triangle. I enlarge and flip around the images to my desire and then I print on white cardstock. 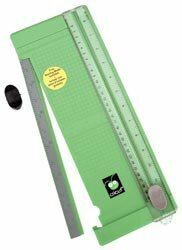 To make things easier and less time consuming, I use my Cricut paper trimmer to cut out my triangles. Then I simply punch out little holes at the top corners of the triangle and using any string, I like twine, join the triangles together and you’ll have a one of a kind banner. I like to use painter’s tape (the blue one) to put up my banners because they’re temporary (the banners) and the tape doesn’t mess up the paint on the wall once you take it off. I usually put it on the back of the first, middle, and last triangles. 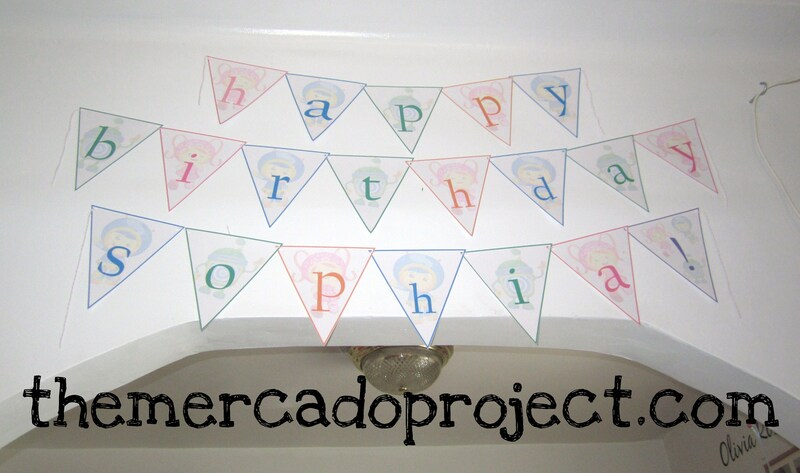 I made this banner for my daughter’s 2nd birthday. The theme was the cartoon from Nickelodeon, Team Umizoomi. I went to their official website, http://www.nickjr.com, to get some ideas and found a lot of printable material for birthdays including a square banner and a poster, which was awesome. I couldn’t copy and paste the characters on that website, so I went to AOL search and found a bunch of clip art, which I used on my pennant banner. On the picture tool bar, I re-colored the images using the color mode to fade the pictures so the letters would pop out more, but you can still see the image of the characters in the background. There’s really nothing available in stores with this theme, which boggles my mind because kids are absolutely crazy for this cartoon and it’s been on the air for years now, just saying.